Have you even considered the amount of revenue wasted with regards to time it takes to try and work around this mess? 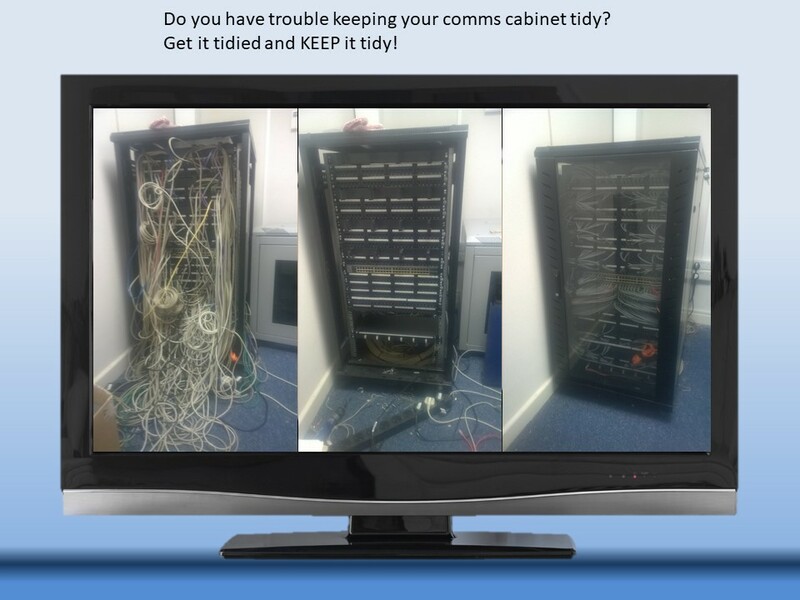 With the amount of add, moves and changes happening in today’s business and education environment, it’s easy to get in a mess with the comms cabling!! The problems arrive when you need to make changes and find faults etc. 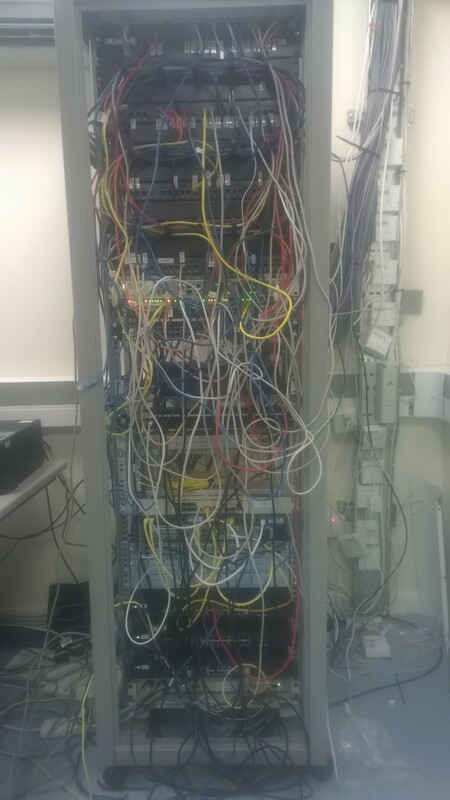 You won’t notice the problem until it’s too late and you need to either get a specialist in or attempt to tidy it yourself. Either way, the chances are that you’ll have to go “off-line” to do this and power things down, unplug connections…….. this can add to a number of issues if you don’t have any patching records too. Below is a job we have scheduled in….. a long weekend. We carry out many cabinet tidy exercises and some we have done more than once! 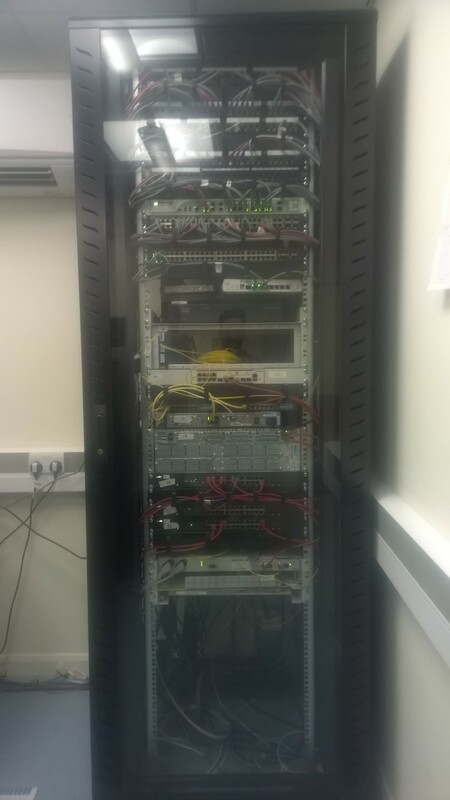 The above comms cabinet was located within a business hub providing office accommodation to various tenants. The communication services are included within the rental so good connection is imperative at all times to eliminate client issues. As well as the obvious mess on the outside of the comms cabinet, the inside is NO better and caused no end of issues regarding adds, moves and changes as well as faults. 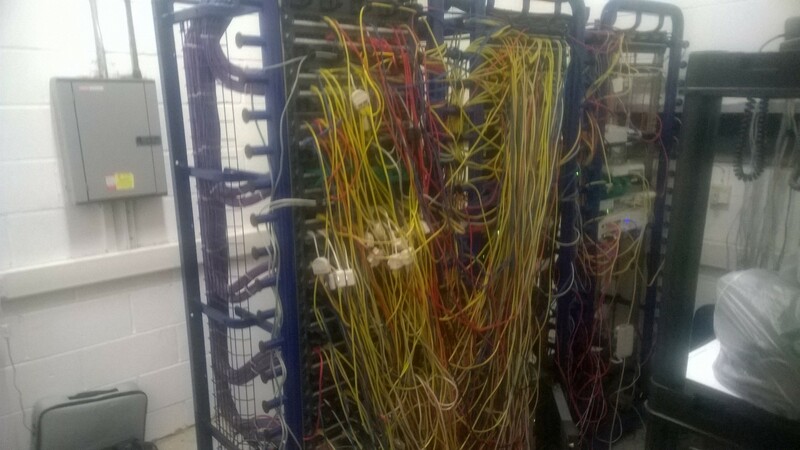 Netcom were asked if there was anything we could do to tidy this mess. Of course we said yes and put a scope of requirement together along with a quote to complete the work which included the following. ALL work was completed from 6PM to 2AM in a single shift with an engineer on support the following day in case of any tech issues. If you think you could do with some assistance then get in touch.